“Once Upon a Time” Ranking the top 5 moments from Season 7 episode 7: Who is in San Francisco? 5) Henry & Ella/Jacinda get trapped together in a net. This scene was pure magic for me and actually showed me the spark between these two which has been blaringly missing from the prior episodes. It brought me back to when Prince Charming caught Snow White in a net, bringing together these destined soul mates in an adorable meet cute. It also reminded me of ABC’s Lost, when Jack and Kate get stuck in a net together much like Henry and Ella. It was a nice way for the writers to give fans a sense of nostalgia and ignite a much needed connection between Henry and Ella/Jacinda. 4) Mother Gothel proves she is a villain to watch. I was excited to see the introduction of Rapunzel into the world of OUAT, only to find out that it was the witch, Gothel in disguise. She plays on Hook’s weakness who is a fool for love, only to use him to give birth to a magical child with her blood so that she may leave the tower. When Hook/Detective Rogers frees her as Eloise Gardner, she reveals that Ivy/Drizella and Lady Tremaine may not be the main villains we thought they were. Gothel is done hiding in the shadows and is about to show the world what she is capable of. 3) Jacinda and Lucy are re-united. I was so sympathetic with Jacinda when Lucy was taken away from her and she revealed her own insecurities as a mother when she admits that she waived her parental rights and let Lucy go with her grandmother voluntarily. A new romantic interest is introduced into the mix as well when Lucy’s father, Nick/Jack, comes back into their lives to help with the case. While Jacinda claims she has no feelings for Nick, it makes us wonder if this is another threat to the bond between her and Henry. Jacinda does ultimately get Lucy back and Lucy accepts her mother with open arms. 2) Hook’s daughter is revealed to be…Alice! The introduction of Hook’s child was a surprise for me but I thought it gave him a real chance to be selfless and to raise his baby after she was abandoned by her mother, Gothel. I thought it was especially touching when he sang her a lullaby, revealing his own need to have some form of connection in the world. 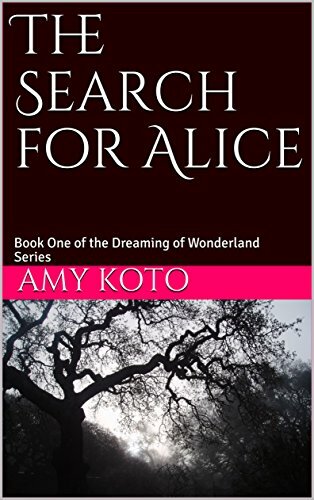 Alice’s story was already very interesting to me, different from the other versions of Alice who were introduced previously on Once Upon a Time. This gives Alice a new purpose and hope for Hook to find his own happily ever after. 1) Who is in San Francisco? The episode ends with Regina/Roni going off to San Francisco to get some help to take down the villains and wake everyone up. After Rumpel rejects her proposal to team up and continues on as if he does not remember who he is, Regina/Roni realizes that she will need to recruit help from somewhere else. So who is in San Francisco? I am banking on Zelena but we will have to wait and see. I hope you enjoyed and please feel free to post your comments and theories below. OUAT may be on a break for the next few weeks, but let’s keep the theories coming!